Stepping up efforts to improve Sri Lanka’s standing in the World Bank’s Ease of Doing Business Index, Cabinet this week gave approval to exporters to skip registering with the Export Development Board (EDB), which was mandatory earlier, as a step to minimise red tape. The Cabinet of Ministers on Tuesday approved the proposal presented by Development Strategies and International Trade Minister Malik Samarawickrama, to cancel the registration methodology presently being executed by the EDB. According to the latest World Bank Doing Business rankings, Sri Lanka improved 11 places to 100, which maps the investment climates of 190 countries with improvements in paying taxes, enforcing contracts, and improving transparency. Previously, all the exporters were supposed to register at the EDB as well as with Sri Lanka Customs. However, with the cancellation of this methodology, registration at two organisations is no longer necessary, making the process trouble-free for promising new exporters. “We used to have a voluntary, free registration mechanism to collect data about all the exporters, but there was a mandatory registration for these exports at the Customs Department also. Therefore, with the new directive, they no longer have to register themselves at both institutions. The EDB will get the relevant data from the Customs Department,” a top official of the EDB told the Daily FT. Despite having mechanisms to do the registrations online, some of the exporters still prefer physical registration, and the new mechanism saves them the time spent physically visiting two organisations. National Chamber of Exporters of Sri Lanka (NCE) also welcomed the move by the Government in reducing bureaucratic red tape, given that there is a fully-fledged mechanism to collect accurate data from the Customs Department. “We hail the direction taken by the Ministry to minimise the complex red tapes included in export-related businesses. 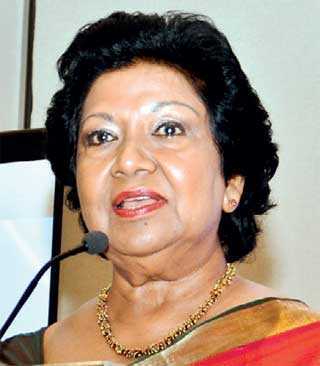 There are instances where invoices are amended before and prior to shipping thus, those final accurate information should be carefully be shared with the EDB,” NCE President Ramya Weerakoon said.